This is my lucky shot. 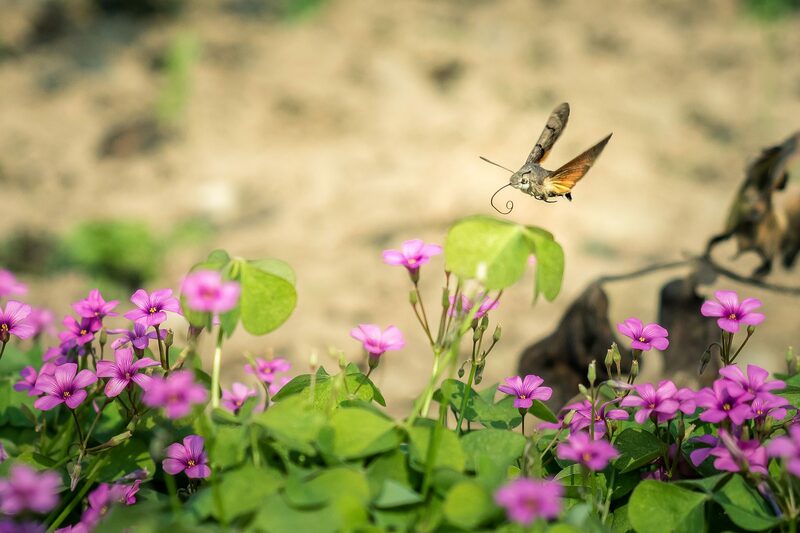 I am not sure why, but when I saw this moth fly above the flowers, I just had to capture it on camera. This is my biggest challenge to date as this creature is ridiculously fast. Manual focus, fastest shutter speed and 20 min of missing the focus. It’s unimaginable I captured this at f/2.8.